Mitsuhashi supplies a range of equipment that automatically loads previously manufactured sachets or flow wraps of product into a secondary packaging process achieving a fast, streamlined, automated, energy efficient unit environment with quick and precise operations. A sachet loading systems loads a bandoleer of connected sachets into cases direct from the sachet f-f-s machine which provides a buffer storage to feed the sachet dispenser system which automatic cuts and places individual sachets into a secondary process. Automatic cutting and controlled feeding of an individual sachet into secondary packaging format e.g. sachet into a noodle pot. Pouch Winder FW series Designed to automatically roll up a constant number of pouches - 3 or 4 side seal pouches from the packaging machine. Can be combined with the pouch dispenser. Pouch Dispenser KD series Designed to unload pre-packed strips of pouches from their boxes, cut into individual packs and then deliver to the correct position of another packaging operation, such as feeding individual sachets of sauce to a noodle pot line. 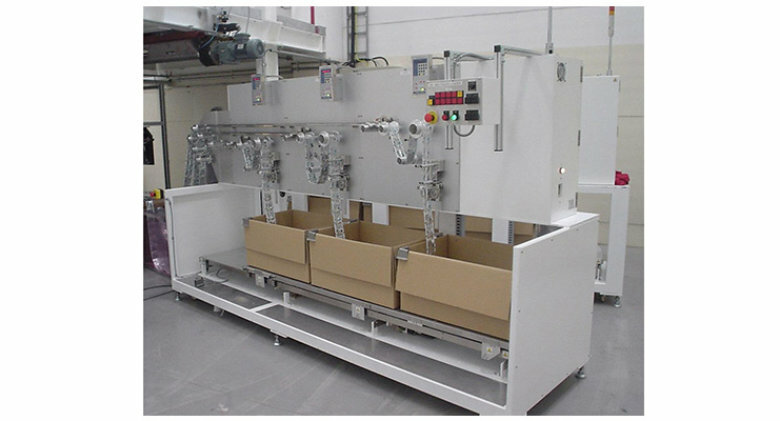 Dispensing equipment follows the change of the linear speed of the wrapping machine; the carefully designed feeding unit makes the dispensing of heavy pouches possible. Bandoleer Pouch Strip Loading KE series Used in combination with the pouch dispenser, automatic feeding of sachets to another packaging line is perfectly controlled. Requires less labour and can be carried out as two separate operations or at different manufacturing sites. Faulty/empty sachets can be detected, guaranteeing product integrity. SMF Pouch Loading Required for where the pouches/flow wraps need to be distributed across a multi-lane secondary machine, Mitsuhashi has a system to take the cut packs and accurately dispense them into the final pack. TM 200 Taping Machine Designed to automatically stick sachets to other packaging formats, using either double sided tape or glue dots. 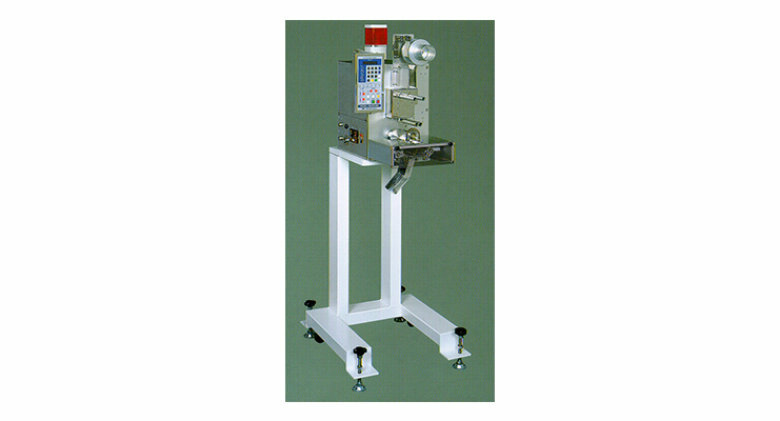 Unit can be synchronized with a secondary packing machine via the KD pouch dispenser.